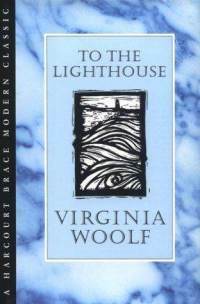 Modernists can have a high strike-out to home-run ratio – but Woolf knocks it clean out of the park with To the Lighthouse. The novel is organized into three sections. The first and third describe two vacations, separated by ten years, the Ramsay family takes to their house in the Hebrides. The second describes that house during their ten-year absence, slowly decaying under the influence of weather and time, while out in the world, members of the Ramsay family die. To the Lighthouse is conflict rich but plot poor. Woolf gives us vivid, fragmented portraits of her characters during two brief moments in their lives, then asks us to assemble the pieces to understand who they were, what they’ve become, and what has changed them. Her writing throughout the novel is masterful — Virginia Woolf does with words what Vermeer does with paint — but the second section is simply astounding. There is no way the description of an empty house should be moving. And yet often enough I read it through tears.